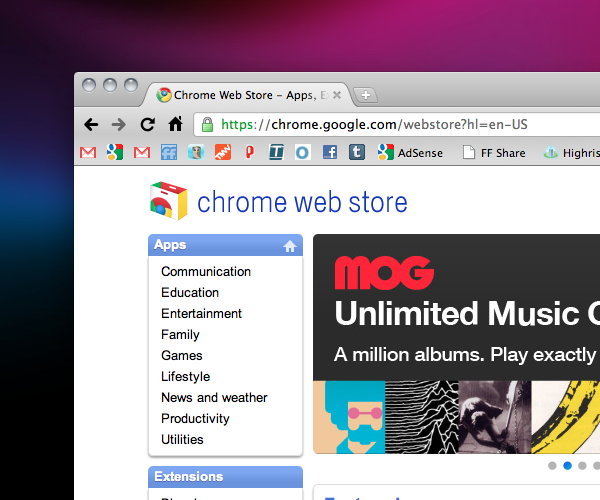 It’s been a few weeks since we first got the announcement about the Chrome Web Store. That means that it’s time to revisit and figure out whether or not Google is really onto something big with its invention. But the Web Store is broken. Not because of Google — at least not in full — but more because developers simply aren’t looking at its full potential. The question that was asked, and I think that it’s the one that still remains, is whether the Web Store really solves a problem that already exists. While many of us on the front-facing side of technology do appreciate the move toward a cloud society, there is still a huge group of people who either don’t trust the cloud or don’t see a reason for it. After the first day of using a few applications downloaded via the Web Store, I was already seeing my patterns shift. The real problem that I’ve found, like so many others on the store, is that many developers and/or sites just aren’t taking full advantage of the Chrome browser platform. There are a number of “apps” that are nothing more than handy links to another site. The notable exception, of course, being ChromeDeck. TweetDeck on the Chrome browser is a thing to behold. It’s slick, it’s fast and it’s just about as powerful as the vast majority of people would ever need. Though it does employ user streams, it’s not dead-on real-time, but it’s really close. The best part? It’s not some off-machine website. Everything in TweetDeck for Chrome is rendered natively in the browser, taking full use of the application’s ability to host other applications. TweetDeck on Chrome is something that honestly does solve a problem. For those of use who use TweetDeck as our main Twitter client, dealing with the frustrations of the laggy Adobe Air platform is a pain. ChromeDeck solves this, with an HTML5 interface. While website-based “applications” might be slick looking, they don’t really provide anything that isn’t available in any other browser. Is the lack of necessity to use web apps really the fault of Google? On one hand, yes. Google could, in the same way that Apple does with the App Store, regulate that applications in the Chrome Web Store have to be somehow enhanced to run on Chrome. Is that fair to the rest of the world? Not really, but we’re not talking about fairness here. We’re talking about solving problems. The other side of the coin is that Google isn’t at fault simply because the developers haven’t delved deeply enough into the Chrome architecture to take advantage of it. TweetDeck did, and out of it came an amazing product that won’t run on other browsers. Pretty much every other impressive application that I’ve used, though, runs just as well on Safari, Firefox and even some in Internet Explorer. So has my behavior shifted? Yes, somewhat. In that case, the Web Store is working just fine. However, I’m still reliant heavily on apps to the point that I can’t use my Cr-48 for a full-day jaunt. I tend to look for apps more than I do sites. Or at least I tend to look for apps of sites that I like. I also appreciate the doors that will open in the future as more sites continue to migrate over to an app culture.